Do you enjoy having fun? Cool -- you'll like Zigadoo Moneyclips. This band is a refreshing change from bar room troubadours. They also fit the motto of this blog: music like your life depends on it. To make a long story short, the band's founding members, Zak Baker and his wife, Leigh, met through their musical projects. As often happens, though, life came up and the couple were ready to relegate music to a nice hobby. However, they soon realized that what they needed to do was create music. (You can read the full tale here -- as far as press releases go it's beautifully written.) That deep-seated need gushes through their music, whether it's the tortured, existentialist ballad of "Animals" or the reggae/ska/bluegrass (yes -- it works) "Sweet," or the exuberant kickoff to the album, "Telephile." 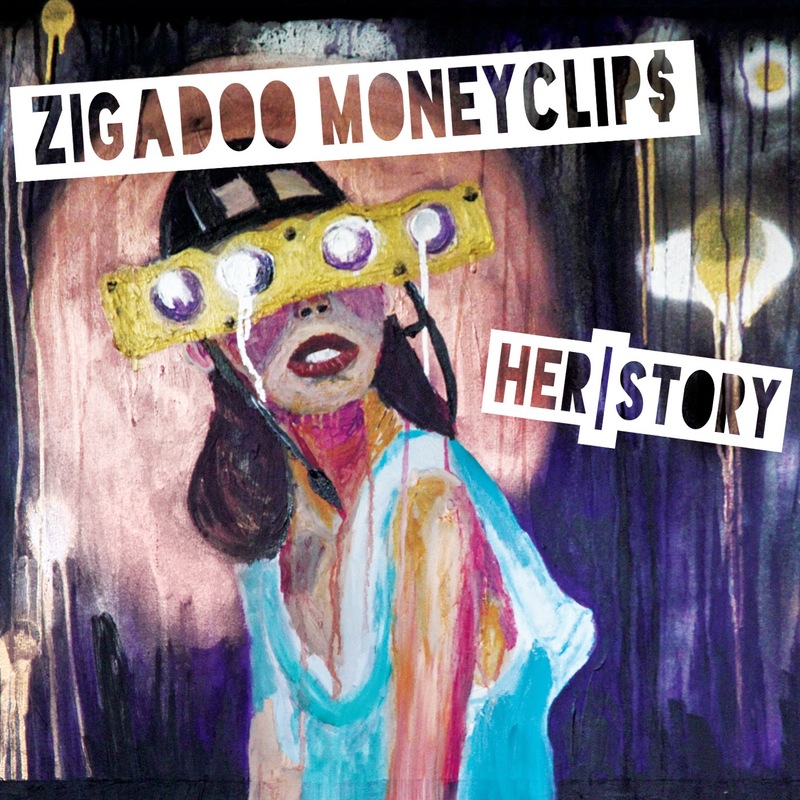 There's no easy way to classify Zigadoo Moneyclips -- they inhabit their own space between rock, pop, soul, hip hop, country, and jazz. It's not schizophrenia -- there's a sense of purpose behind each musical decision and it coalesces into a unified, determined voice. I feel an overwhelming sense of love and joy while listening to this album, but not because it's simply a collection of upbeat songs. The palpable dedication and exuberance from each member of the band shines through. This might not be the kind of thing you normally listen to, but trust me -- you have to listen to it at least once.